A Citroën Relay Ready to Run Box converted vehicle is the perfect companion for when you need more load space whilst keeping the vehicle weight under the light CV gross weight threshold. 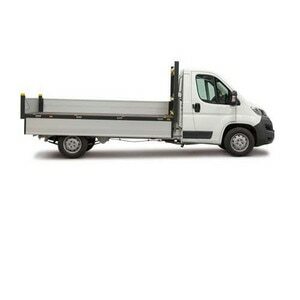 Citroën Box conversions offer enclosed van bodywork and a rectangular load floor with no wheel arches to narrow the width. It makes the Ready to Run Box conversions well suited to bulky but comparatively lightweight loads and palletised freights loaded by forklift. Citroën Box conversions are available in two versions based on the Relay L3 and L4 single cab models. 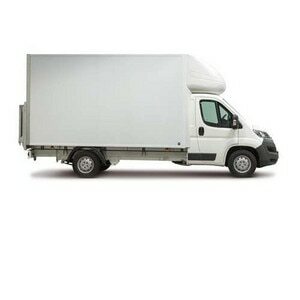 L3 versions provide up to 16m3 of load space, while the longer L4 models provide a plentiful 20m3. Based on the standard construction, payload is 983kg* for L4 models and 1,051kg* for L3 variants. Solid cab paint colours include; Polar White, Pacific Blue, Imperial Blue, Tiziano Red and Carioca Yellow, with a further two metallic colours – Arctic Steel and Graphito Grey also available. Ready to Run Box bodies are mounted behind the Citroën Relay cab, using light but strong composite panels fitted to a galvanised steel and aluminium frame. This robust construction method delivers durability combined with a highly competitive payload capacity. By choosing the optional lightweight construction offered with all Ready to Run Box conversions, payload can be raised further by around 80kgs. The load space interior comes equipped as standard with fittings to protect the body panels from knocks and provide useful load security. A kick strip is fitted to the base of the front bulkhead and along both sides to help prevent accidental damage. 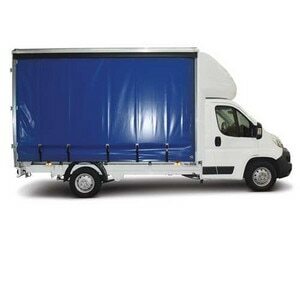 Load locking strips and tie rails are fitted as standard at two levels on the body sides, giving a variety of load securing options. The floor is constructed from treated birch plywood, which provides a wear-resistant base, while also helping to keep body weight to a minimum. The standard rear closure for the Ready to Run Box body is a lightweight alloy roller shutter, supplied with locking handle. Citroën Box conversions come with an LED interior light, external marker light and plastic wheel arch fittings equipped with spray suppression mud flaps as standard so that every job in your converted vehicle is made simple. A tail lift, which is available as an option, can make loading goods by a pallet truck a simple and easy job. Available as an option you can have Grip Control on your Citroën converted vehicle, a traction control system which can aid the driver and improve passenger comfort over a range of terrains including snow, mud and sand. The driver’s seat in Citroën Box Body is adjustable for rake, reach and height and includes a lumbar adjustment and arm rest as standard equipment. With 13 different storage spaces in Citroën's Box Body including a lockable glove box, you can take everything you need for a days work. Citroën converted vehicle range come with an extendible writing panel which is perfect to support purchase orders, smartphones or tablets without having to leave the cab. Citroën Box Body's gear lever is located on the dashboard for additional comfort.Citroën Relay gear lever is located on the dashboard for additional comfort. As well as the extensive range of features you can have on your Citroën converted vehicle you also benefit from a 3-year/100,000 mile full vehicle warranty, Full European Type approval, 10-year parts support commitment and much more. To find out more, contact your local business centre and discover all of the benefits of a Citroën converted vehicle.